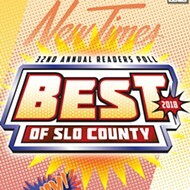 The final vote needed to clear the way for a program designed to fast-track small-scale solar project approvals in San Luis Obispo County has been cast. The SLO County Supervisors approved a set of amendments to the county’s general plan on March 24, including changes that will allow for the Renewable Energy Streamlining Program (RESP) to take effect. The program will simplify the approval grind for certain types of solar projects of up to 40 acres by offering exemptions to standard permitting processes if key requirements are met. Those requirements include having a county-certified biologist survey the land for sensitive or endangered species, and the stipulation that projects only be sited on previously disturbed soils (which have already been graded, developed on, or farmed). Some limited rangeland will also qualify, and projects may not be sited on prime agricultural soils. If a solar project can check such items off its list, staff can approve it through a ministerial review process. 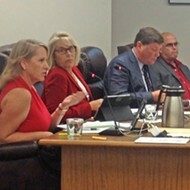 The SLO County Planning Commission spent three public meetings sorting out details and fine-tuning the program, which evolved in response to concerns from individuals and groups worried it would circumvent important environmental review, and in turn may have unintended adverse impacts on sensitive habitats and species—especially because the approval process would have limited oversight. “I question the idea that streamlining should mean decisions based on unvetted information,” said Eric Greening, a frequent participant in the public planning process. He argued that the streamlining wouldn’t necessarily make the approval process that much faster than the norm. County planning staff, however, have said that the standards for approval are pretty clear, and that any discovery of sensitive biological resources on the proposed site would bring the project back to the standard public approval process.